I would like to express my deepest gratitude for the opportunity to represent the 33rd district after residing for more than a decade in Loudon County. I have received a tremendous amount of support and encouragement from the community and from the Loudoun County Democrat Party. I am currently working with many wonderful people who are providing me with their knowledge and guidance which is helping me to put together a strong campaign team. My campaign will knock every door to earn a blue vote and to create an unstoppable blue wave. At this time, I am meeting with many residents of the 33rd district to learn about their concerns and the issues that are most important to them. I Served LCDC fundraising chair and a member of the LCDC Executive Committee. I am also serving my community as the Vice Chair of the Leesburg District Democrats. In addition to my community service, I bring to the position my business experience as the Chairman and Editor of the Weekly Bangladeshee which is a newspaper serving the local Bangladeshi American community. My goal is to win the trust of the community by running a positive and progressive campaign. To this end, I am asking for your support. 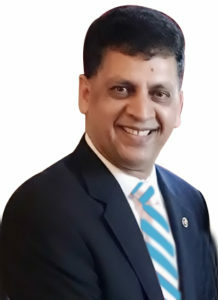 Please visit my website at www.sharafathussainva.com and consider making a donation to the campaign. Thank you for your kind support.